Today, I’d like to share one the most pleasurable movies I’ve ever encountered. There’s honestly not a day in my life when I couldn’t watch The Adventuress (alternate title: I See a Dark Stranger), a masterfully scripted concoction of comedy, suspense, and romance, all permeated with the whimsy and mulishness of the Irish spirit. The movie was a hit in its day—both in the UK and in the US—and it’s still a hit with me. 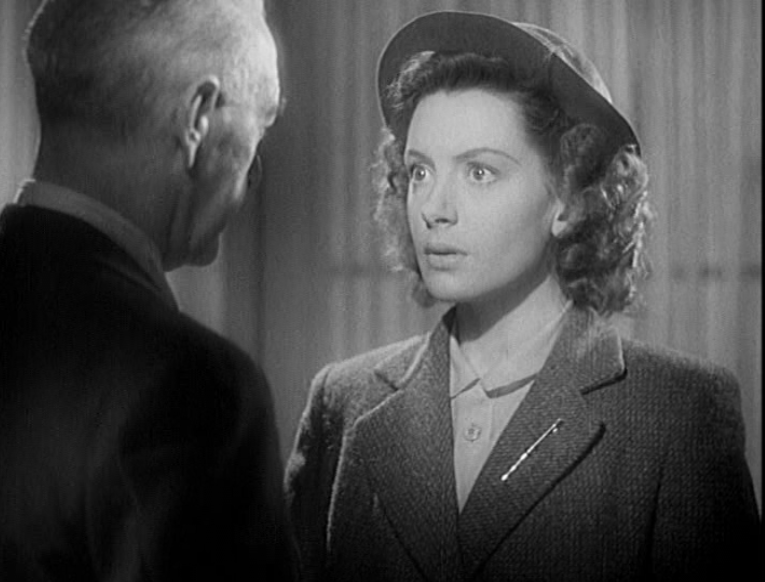 As small-town lass Bridie Quilty, Deborah Kerr barrels through this delightful spy thriller in a flurry of high-tempered outbursts, unleashing a torrent of illogical pronouncements. Growing up listening to her father’s theatrical tales of the quelled 1916 Irish Rebellion, Bridie only wants one thing in life: to get revenge on the British by joining the IRA. Bridie’s single-mindedness reflects an inculcated hatred so intense it could be mistaken for a kind of mechanical vacantness—if it weren’t for the warmth glowing through her wide, offended eyes. If this sounds like the condescending stereotype of an Irish woman you’d expect from 1940s British film, it’s certainly not. I’ll address that in a bit. In the meantime, since I’m doing my best to pick away at some queasy points of nationalism and centuries of troubles, perhaps this is a good juncture to issue a disclaimer. Here goes, my loves, my doves, my darlings! 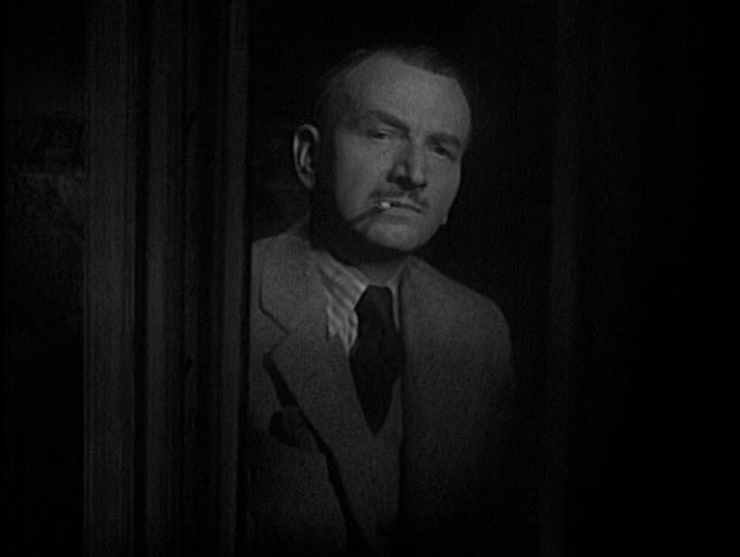 Believe me, whatever I write in this blog post is imbued with fondness and admiration for the Irish, for the sacred soil of Eire, for the fierce blood of my Gaelic chieftain ancestors, and for John Ford’s sainted eye-patch. I’m half Irish. But that’s a kind of a problem for me. Because, ever since I, at 6 years old, first started mimicking a generic BBC accent, I’ve always identified most with—gasp—the British! That may sound inconsequential, but my late grandfather ran guns to the IRA in the heady days of Bobby Sands. My mother occasionally gets misty about the trees that she claims were stolen from the Irish by their beastly (apparently furniture-loving) oppressors. My family is (supposedly) remotely descended from the first king of Ireland. Nobody in my clan has EVER worn Reebok sneakers—because of the British flag emblazoned on them. 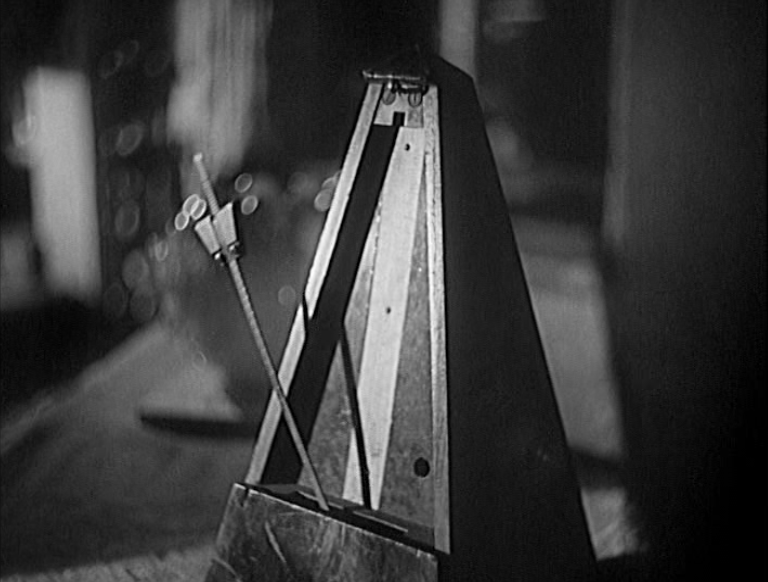 I’m very culturally conflicted—cue the violins, please… I mean, the harp. See? Conflicted! Which brings me back to The Adventuress and why I love it so much. 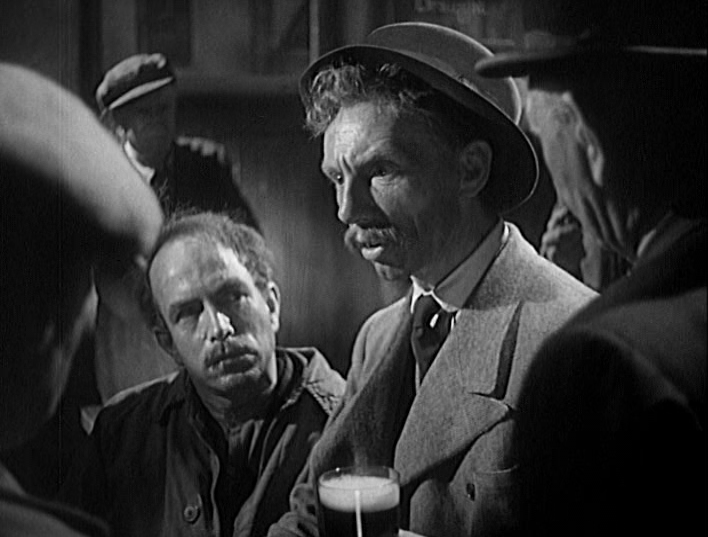 This movie works a small miracle: it’s both veddy English and sublimely Irish. Miller (dying): There’s a bullet inside me. Miller: Because it didn’t come out. Bridie (denouncing Oliver Cromwell, scourge of Ireland): My grandfather’s great-great-grandfather knew him well! Major David Bain: That’s getting a bit remote, isn’t? 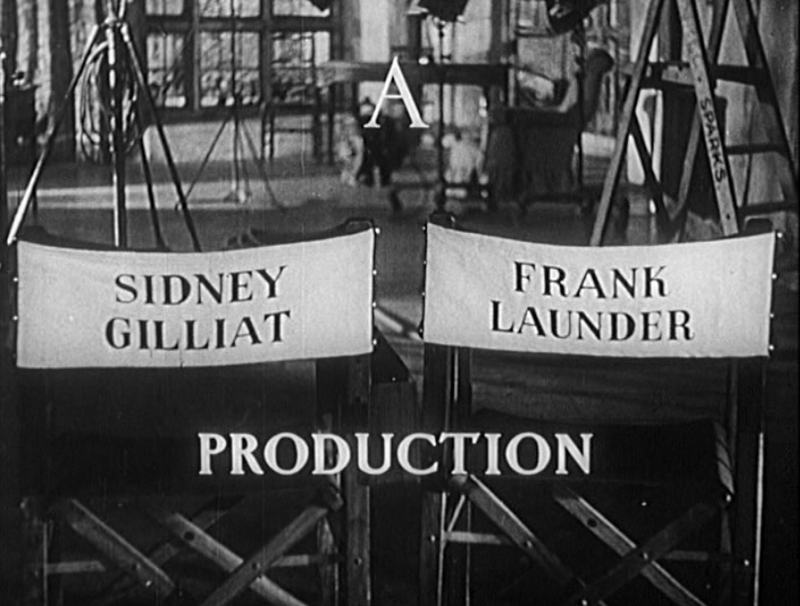 Long before Monty Python lampooned Britishness, the crack screenwriting team of Sidney Gilliat and Frank Launder lovingly parodied their own culture with wacky comedies and mordant, taut thrillers. 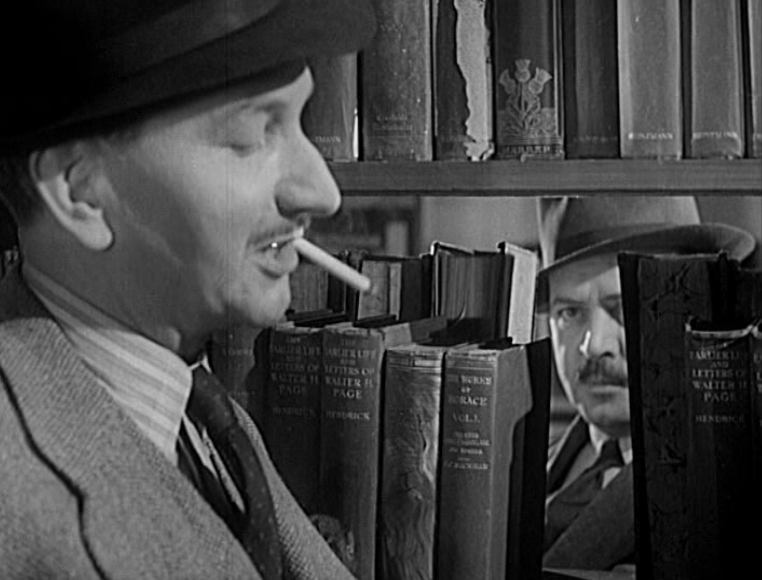 You might recognize their askew humor from The Lady Vanishes and The Night Train to Munich. 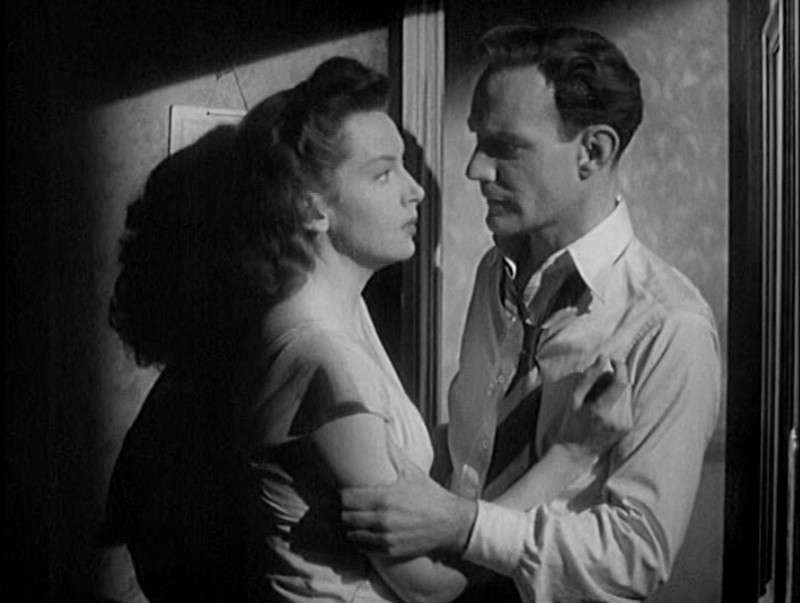 The pair formed a production company and collaborated on the writing and directing of over 40 films; Launder directed this one. 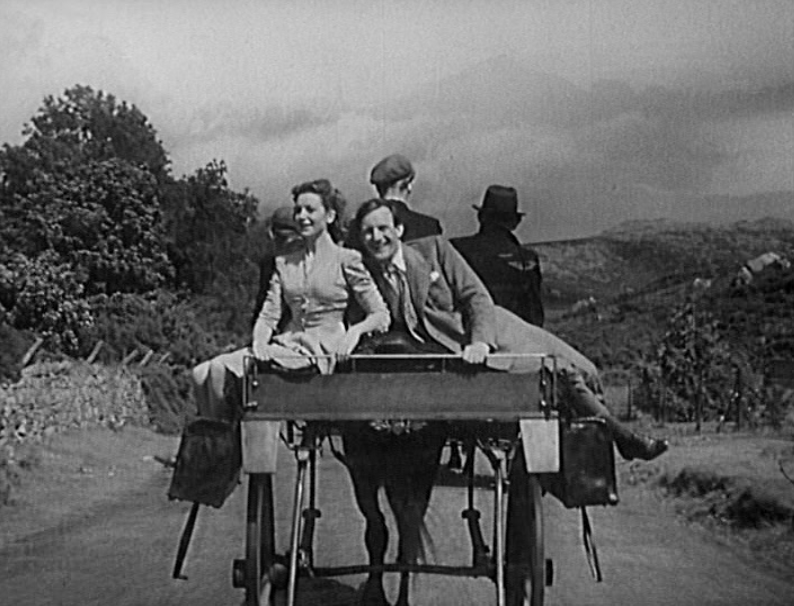 In The Adventuress, as in many other Gilliat and Launder films, the quirkiness of ordinary English life—manifested by quaint train cars, dusty book shops, little old ladies, pettifogging military types, bland gentlemen in sedate suits—takes on a topsy-turvy danger. As for the Irish elements of the script, well, Bridie Quilty is the main attraction. Her misplaced determination, her incisive way with words, and her quicksilver changes in judgment all typify traits that I recognize as key characteristics of Irishness. And that obstinacy is amusing, for sure, but Kerr also hints at the ironic sadness of it. Something about having to accept the reality of “second place,” as Iris Murdoch put it, triggers the unshakeable belief that you must indeed be the cheated winner. Although it might be tempting to condemn Bridie as a caricature, Gilliat and Launder endow her with a depth of personality that makes her much more than a stereotype. The audience comes to care about her—not in spite of her headstrong quest for vengeance and her irrationality, but because of those attributes. 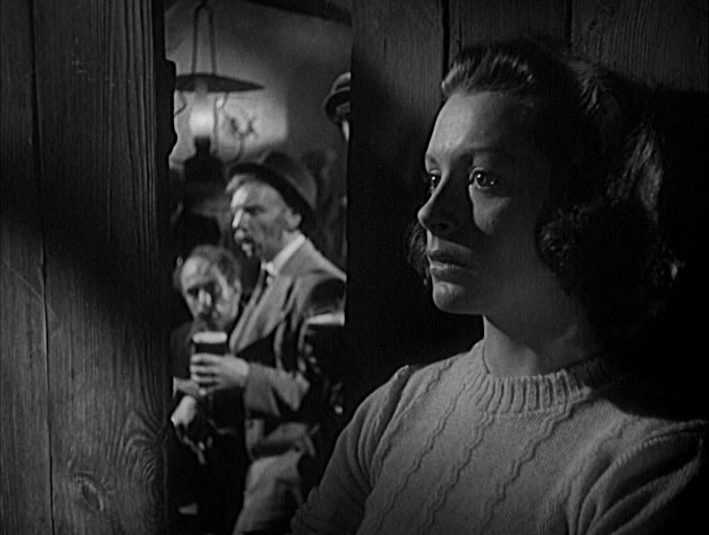 Her Irishness comes across as both beguiling and threatening. We see often see the world as Bridie sees it. 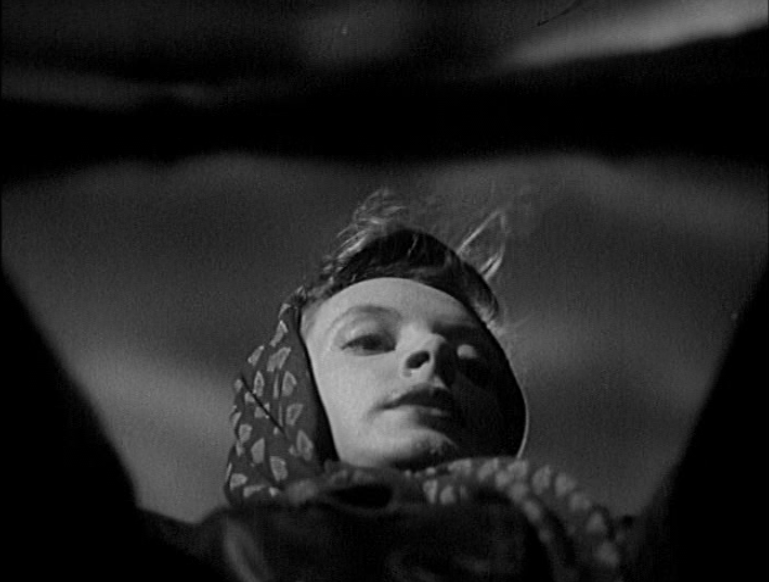 He subconscious even materializes for the audience during a creepy, expressionistic dream sequence. After dumping the dead body of one of her spy confederates, she spends the rainy night listening to the creaking sign of the inn where she’s staying—a sound that turns into the merciless rhythm of a metronome as she’s forced to play scales at a piano… and dump the body again and again in her mind. The viewer shares Bridie’s anxiety and sympathizes with this nice girl who’s gotten in way over her head. Attracted by freedom and adventure, she chose to become a spy—only to find herself weighed down by a corpse and at the mercy of mysterious orders. 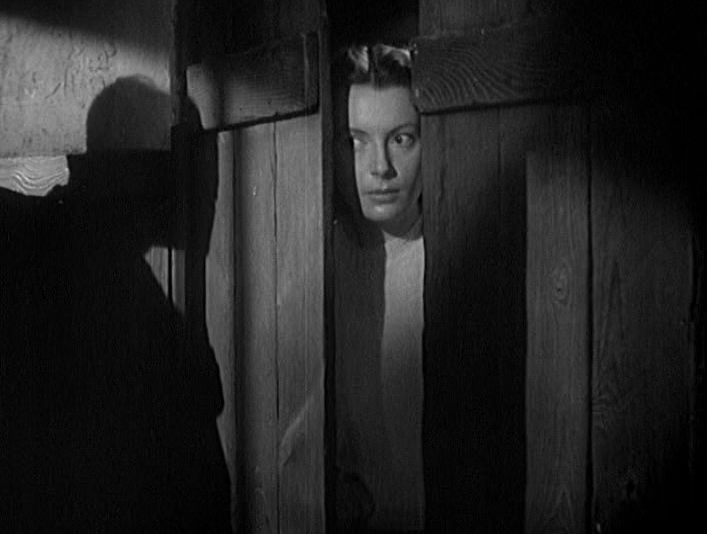 Accompanied by the many shadings of facial expressions that Deborah Kerr lends to the part, this internal monologue charms us into loving Bridie. 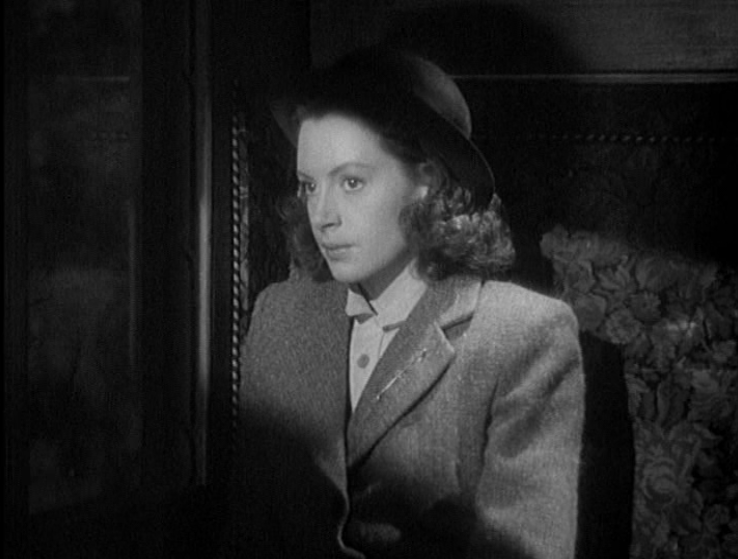 That affection for the protagonist may not come as a surprise now that Ireland and England are on the best terms they’ve ever been, but in 1946, she would’ve been much more alarming to British audiences. 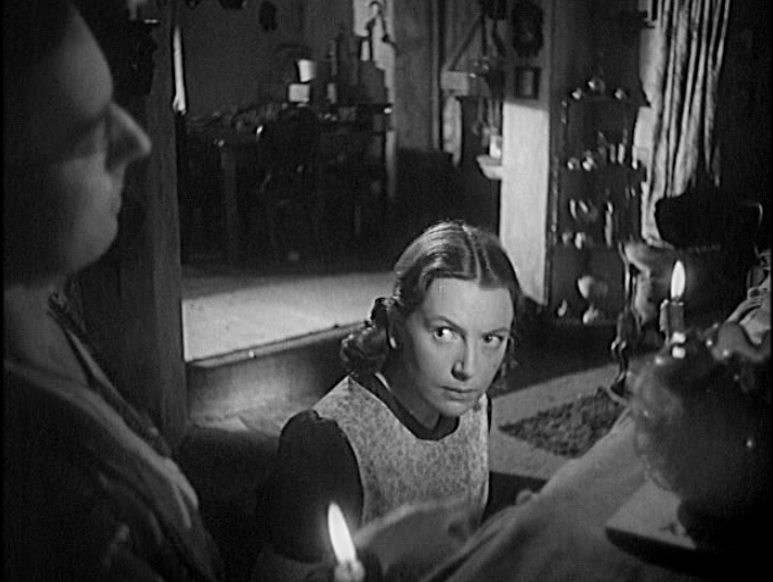 Throughout the first half of the film, we recognize the realness and dangerousness of Bridie’s anger. 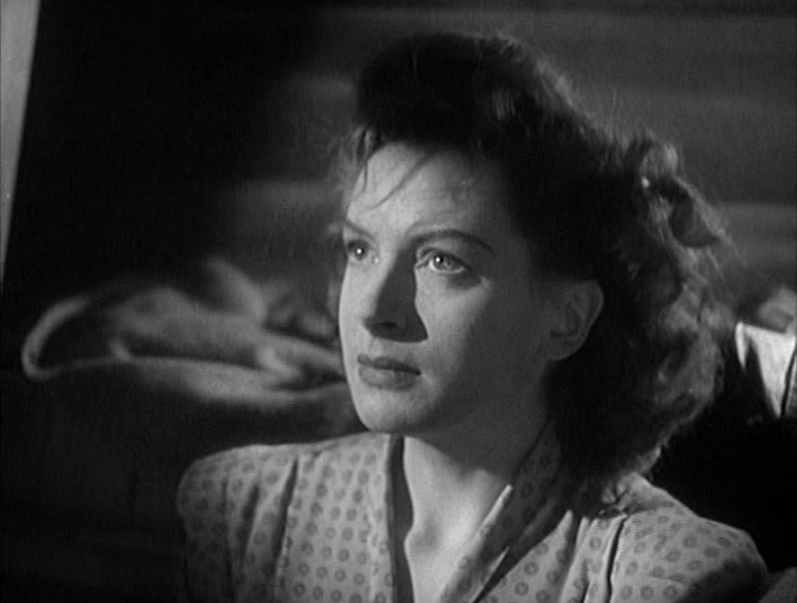 She hates England to the point of becoming a spy for Germany during World War II. As an avenging angel for Eire, she sets the stakes of her fury quite high. Yet Gilliat and Launder allude to some damn good reasons why Bridie might want to become the avenger of her culture. 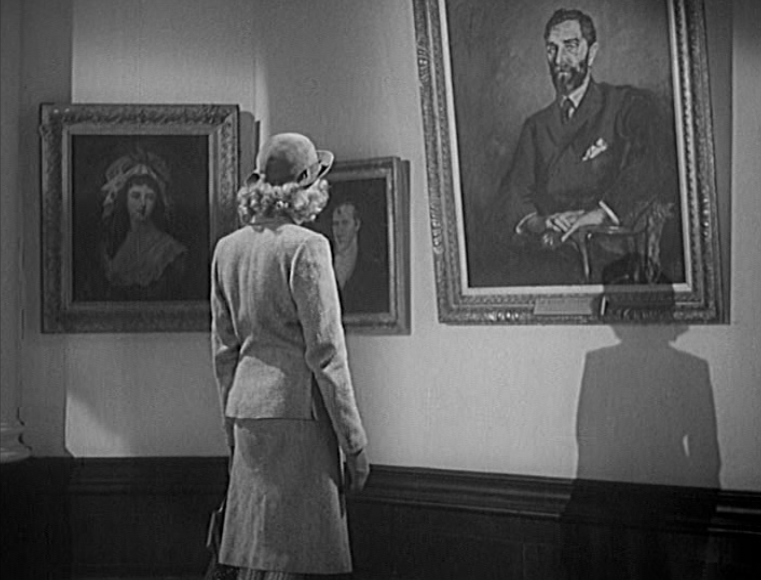 Visiting Ireland’s National Gallery, she exchanges glances with a portrait of Sir Roger Casement, an Irishman knighted by the British for his fight against brutal Belgian imperialism in the Congo (think Heart of Darkness)… then executed by the British because he supported the 1916 Irish uprising. Bridie’s righteous, understated rage fills the air as she stands before the painting, her shadow connecting her to Casement, as the score strikes a mournful note. 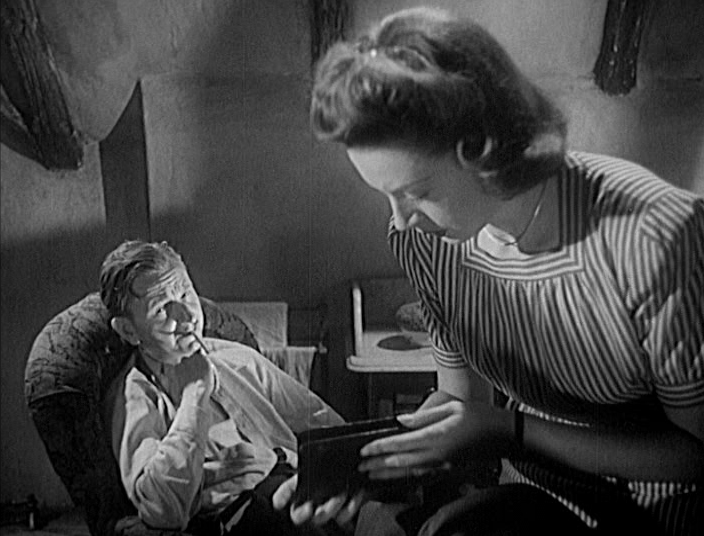 The moment seems like as a subtle mea culpa for British Imperialism—in a British film by British screenwriters. 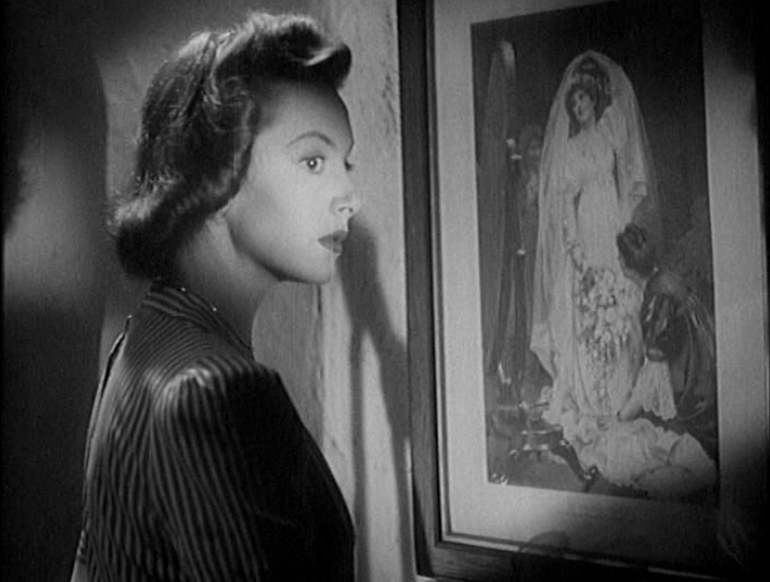 Despite the introspective tone of the scene, however, it doesn’t reduce the perils of Bridie’s vengeful anger—it intensifies them by strengthening her convictions. A few strains of the Irish folk song “Kelly the Boy from Killane” break into the musical score, as though jolting Bridie out of a reverie and reminding her of her dark purpose. She wants to take down the British Empire if she can, for her father, for Casement, for her whole persecuted race. This is no hyperbole. It’s Bride’s reality. That’s a pretty terrifying thought—or would’ve been to British viewers, I’ll wager. Technically, Bridie is a traitor to the realm. 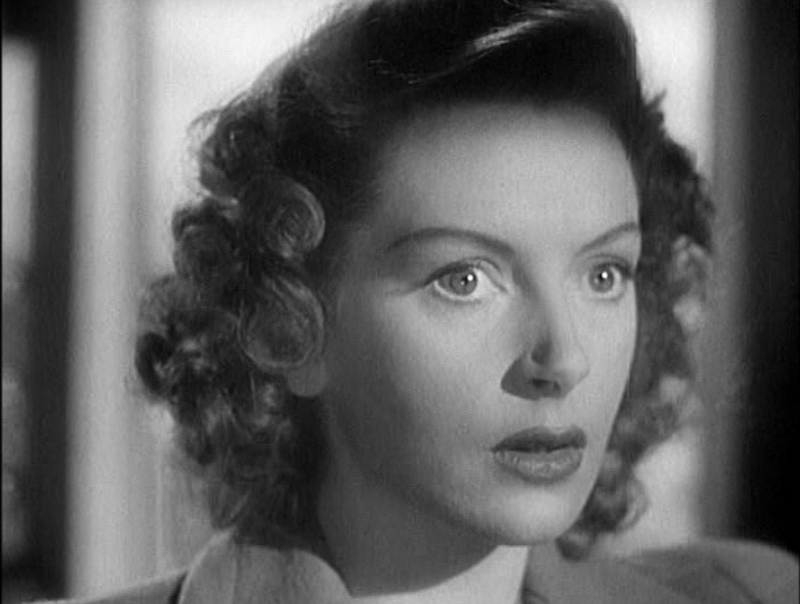 Think about it: a beautiful Irish agent working for the Axis could easily make for a memorable femme fatale villain, not a heroine. 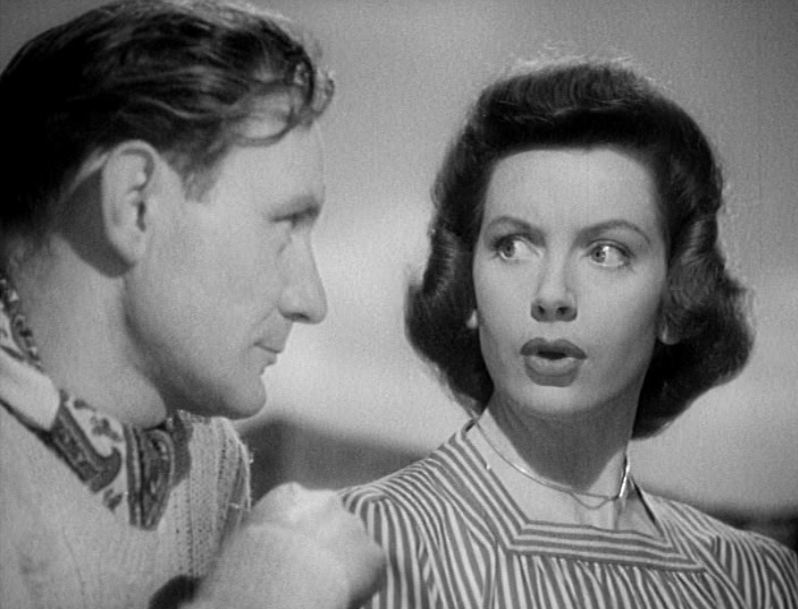 After all, Bridie teams up with Mr. Miller who (despite his resemblance to Cromwell) handles surveillance and sabotage missions for Nazi Germany on British soil. 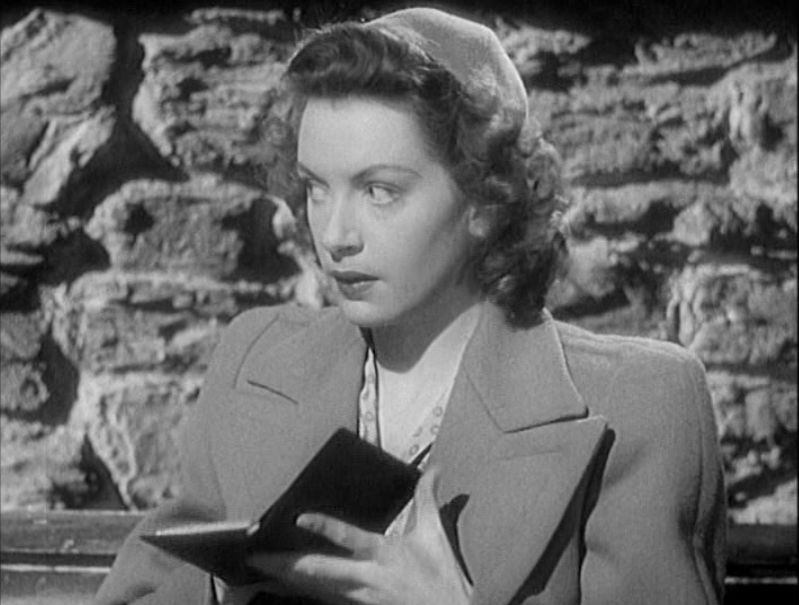 Once Miller gets shot during a risky job, he sends Bridie to retrieve a black book containing vital information about the D-Day landing so she can hand it over to the Axis. 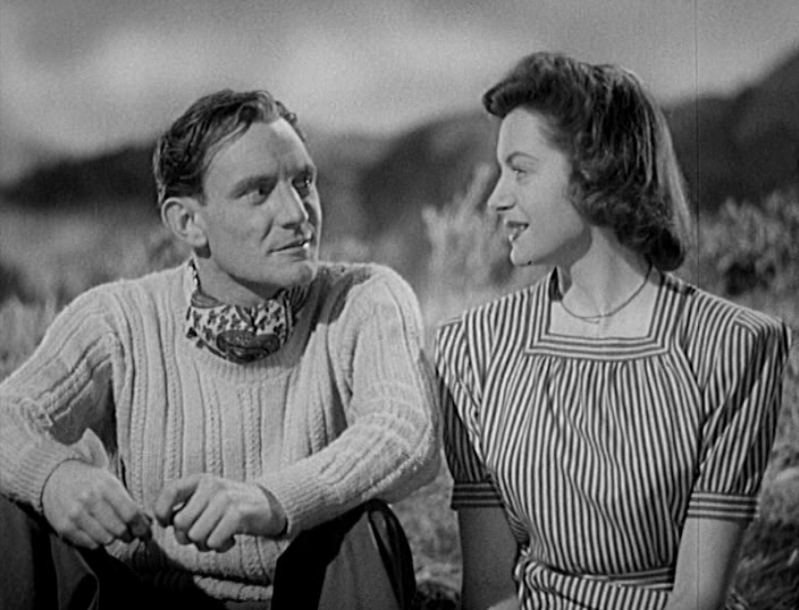 Along her journey, she’s trailed by a dogged, cocky British major (a young, swoon-worthy Trevor Howard) who’s fallen for Bridie and wants to help her out. 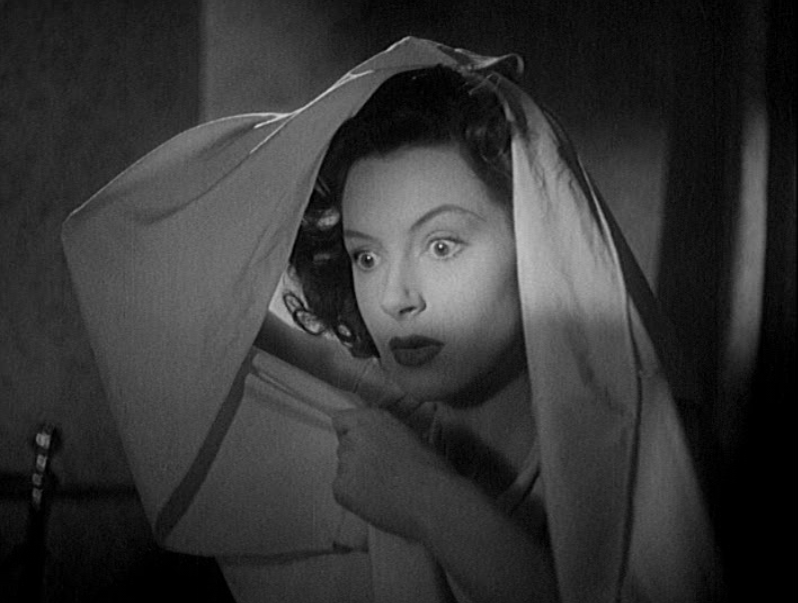 By making Bridie a romantic partner and an ultimately ineffectual spy, Gilliat and Launder defuse her rage with adorableness. I don’t use that word idly; there’s something slightly diminishing in all cuteness. One who notices cuteness tends to be looking down from above. Cuteness is a “second place” prize, to take up Iris Murdoch’s insight once again. We often call things cute to approve of them condescendingly. I’d argue that we project cuteness onto things to make them less scary. Certain personalities brand themselves as cute to attract a wider audience that might otherwise be intimidated by their talents, abilities, and passions. Bridie’s Irishness appeals to us because we learn that, in spite of her professed desire to destroy England, underneath it all, her gestures of rebellion are cute and symbolic. 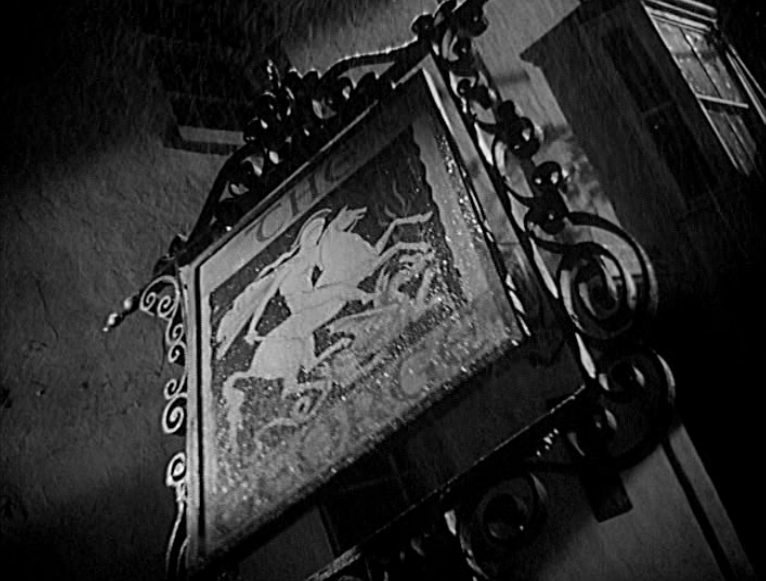 The movie starts with just such a symbolic gesture. In a dinky Irish pub, Bridie’s father musters up battalions of alliterations and metaphors to tell a persuasive yarn about fighting off thousands of Englishmen sent to quell the 1916 rebellion. As Danny Quilty holds his audience rapt, the camera slides in through a window and peers around the room like an uninvited observer (an eavesdropping English spectator, perhaps?). Meanwhile, Bridie sits aside, a young girl absorbing what she hears like a sponge, although she knows the words of her father’s speech so well that she mouths them along with him. One cannot deny the power of this scene, of Danny Quilty’s words as a collective memory that binds together a whole band of men, of the communal singing of “Kelly the Boy from Killane.” This group therapy session channels the Irish passion for their land and their mourning for their lack of control over their own turf. And we watch this surge of manly grief being passed on to a young girl. Only afterwards do we, the viewers, realize that most of these fine sons of Eire have never spilt a drop of blood for their motherland. 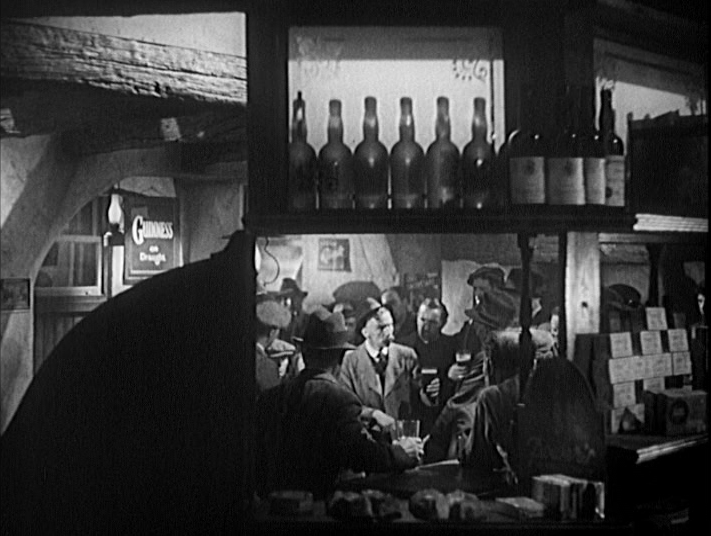 They come to the pub to listen to Danny as a way of vicariously experiencing the doomed struggle for Home Rule—and even Danny probably never participated in the revolt. We Irish possess an almost hypnotic eloquence (“we” in general, not me so much) sustained by a gift for harmless hyperbole. Our bark is worse that our bite, you might say. In much the same way, Bridie gets herself embroiled in international espionage, but baulks at any misdeed greater than vandalism. 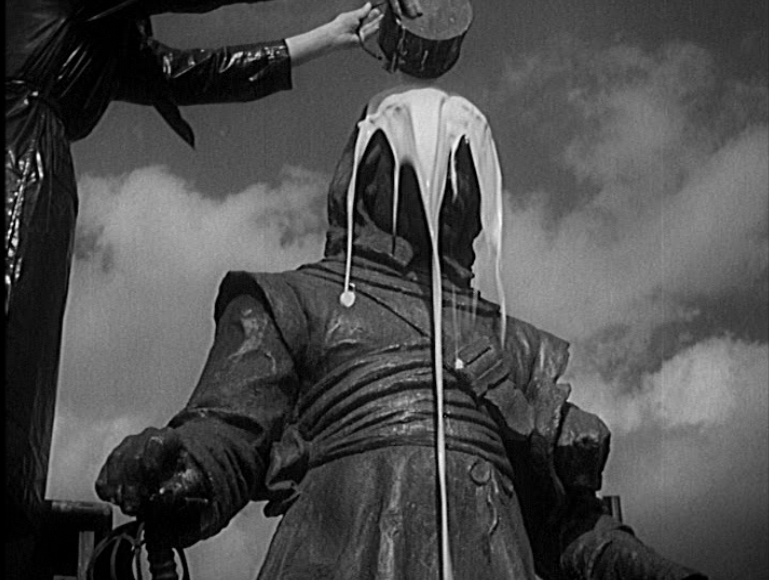 I mean, sure, she’ll throw paint on a village statue of Cromwell, but, when push comes to shove, she’s not all that into self-sacrifice, and she nearly has a conniption when Mr. Miller tells her to pull a Mata Hari and seduce someone. Another mythical facet of the Irishness has set its mark on Bridie: she’s a chosen daughter of fate. This assertion sounds strange, I know, but fate smiles on the Irish in strange ways: denied autonomy in their own land, the Irish turn into adventurers, sages, seers, the darlings of fickle fortune, for a moment at least. Swift, Yeats, Wilde, Joyce! Bridie might not be on a par with those star-chosen sons of Eire, but through a series of crazy adventures, she ends up with the key to the whole world’s crazy adventure—the black book of information that could sink the Allied attack at Normandy. In the end, her destiny deviates from what she wanted—but it still means that Bridie the Adorable, Bridie the Comical Irish Slip of a Thing, holds thousands of lives and the power to make history, in her hands for a short while. Perhaps second place isn’t so bad after all, we understand. The Adventuress concludes its whirling dance between condescension, sympathy, and, yes, admiration with regards to Bridie by marrying England and Ireland, two polarized cultures. Because—no surprises here—the fetching lass of the Emerald Isles gets hitched to the brave English officer. And not just any English officer: Trevor Bloody Howard, a man as white as the Cliffs of Dover with a jaw like the Stone of Scone. This marriage of opposites transforms a battle between fierce political foes into a screwball courtship. Thus, The Adventuress turns a very serious matter into a rom-com, which takes some serious guts and storytelling sleight of hand. 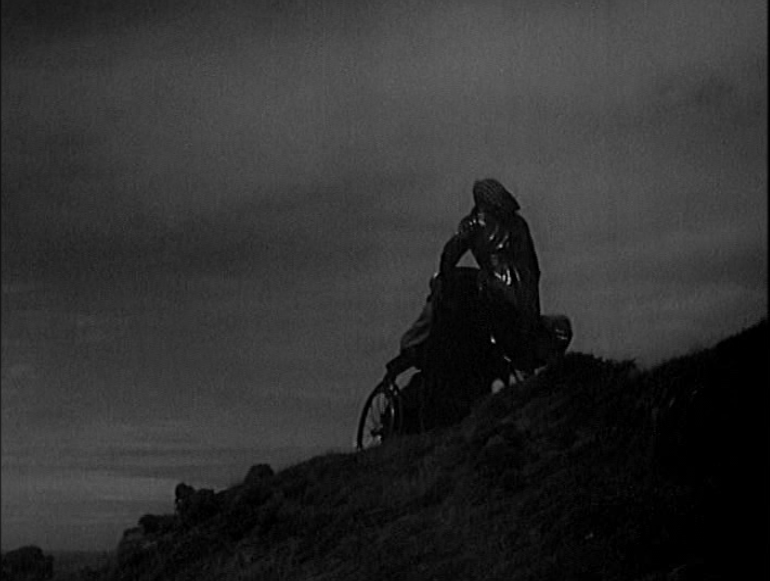 Perhaps that boldness explains why I adore this film. It lets me embrace both my genuine Irishness and my wannabe Englishness while rejoicing in the nuptials of Bridie and the most British man on the planet. The message of reconciliation strikes us as silly, wistful, improbable, and irresistible—in other words, so very Irish. Anyway, whether you’re Irish or not, please dig up The Adventuress. I guarantee that you’ll enjoy it. 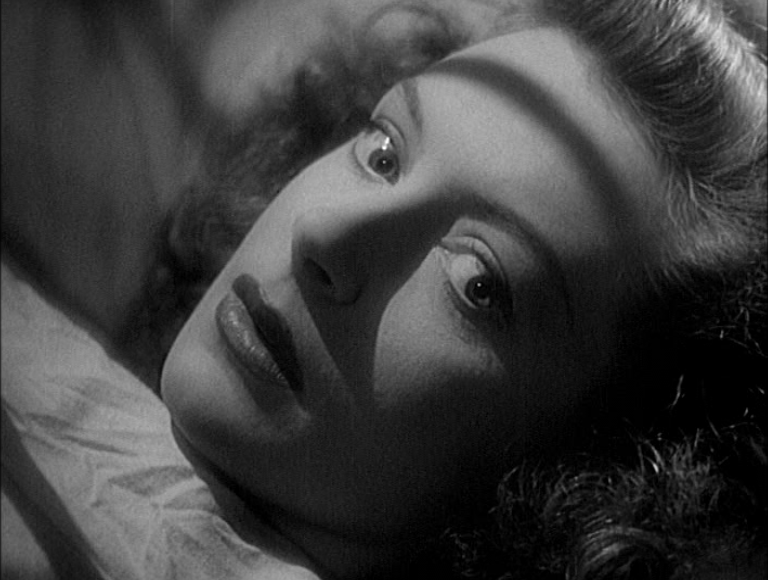 You’ll enjoy Deborah Kerr matter-of-factly telling Howard, “I’m a retired spy.” You’ll enjoy a knockabout brawl in a bathtub. 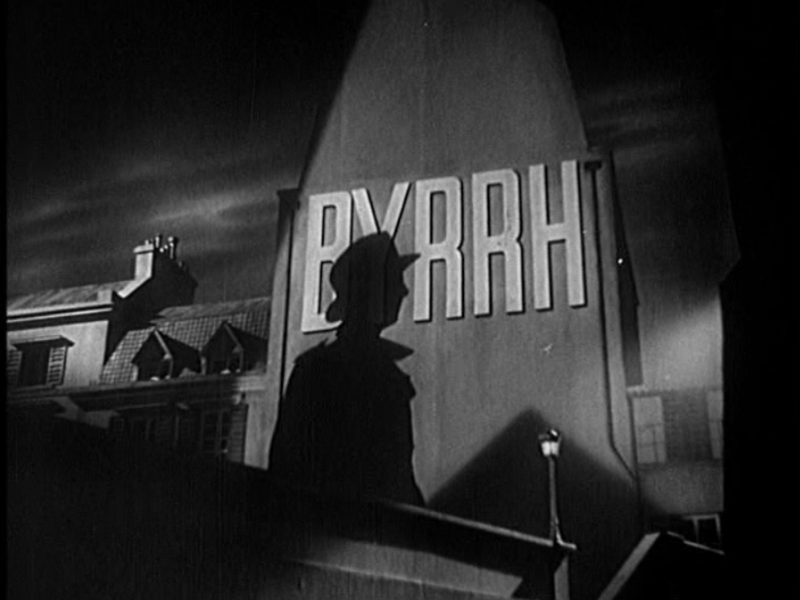 You’ll enjoy the shadowy lighting, the trench coats, the sinister agents and the winking send-up of spy thrillers. And if you don’t, may the only weepers at your funeral be the onion-pullers—an old Irish curse. 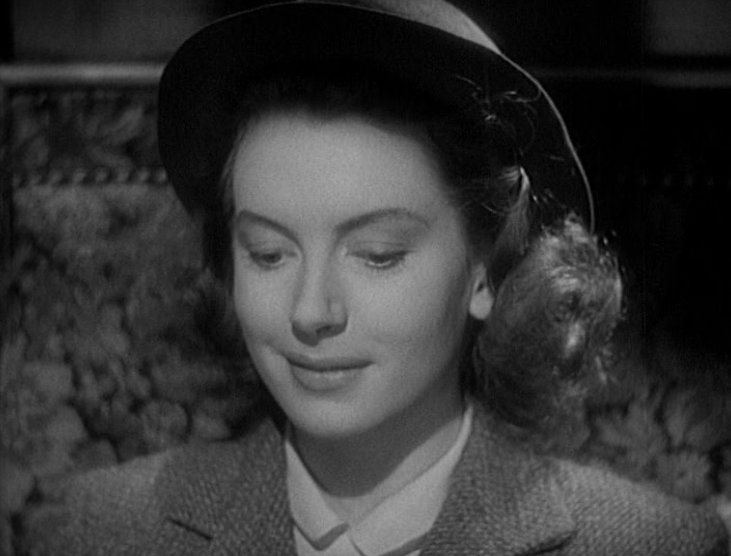 This entry was posted in 1940s, comedy, romance, spy, suspense, thriller and tagged adorableness, bridie quilty, british, comedy, cuteness, d-day, deborah kerr, frank launder, funny, home rule, I see a dark stranger, irish, nationalism, nationality, Nazi, revolution, romance, screenwriting, sidney gilliat, spy, st. patrick's day, the adventuress, thriller, trevor howard, troubles, World War II, writing by Nitrate Diva. Bookmark the permalink.